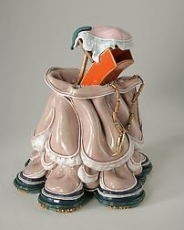 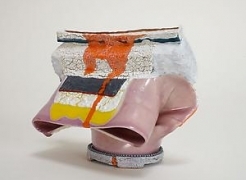 New York based artist Kathy Butterly brings a painterly sensibility to her idiosyncratic ceramic sculptures. 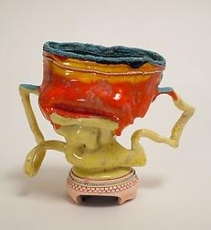 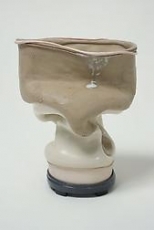 To realize her witty, quirky and inventive fired forms, she applies a range of sophisticated glazes and delicate textures. 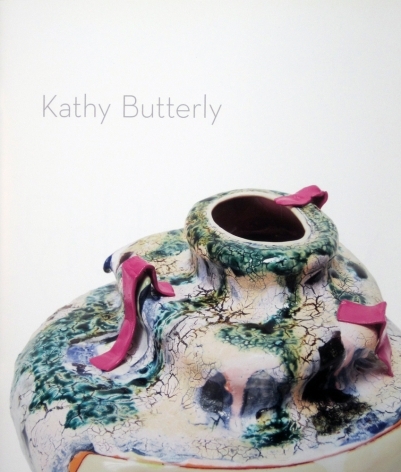 For Butterly the kiln is a crucible of possibilities. 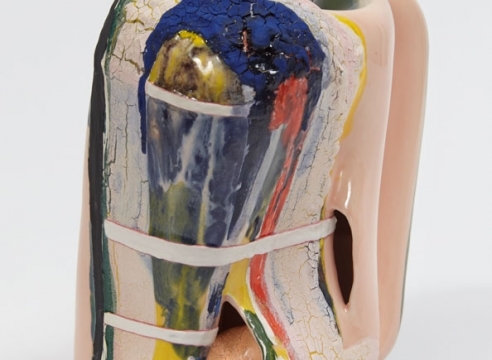 With each firing, a playful intuitive sensory dialogue ensues. 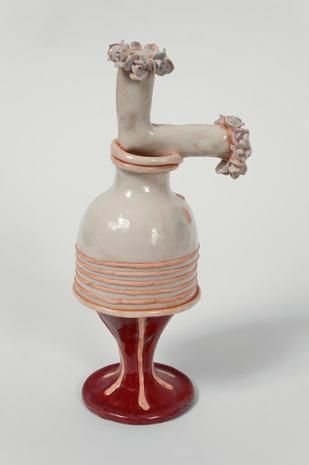 Over decades she has mastered teasing out highly associative meaning with each additional glazing. 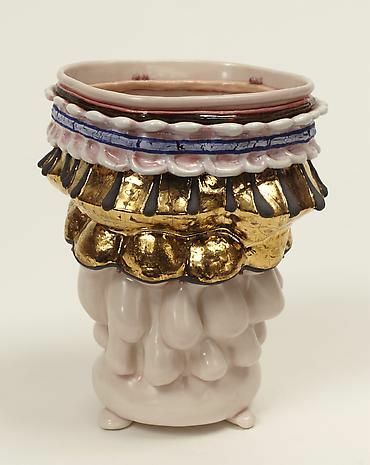 Her aesthetic synthesizes Asian ceramics and California Funk. 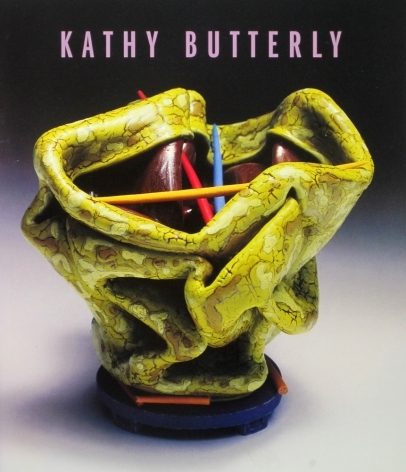 Kathy Butterly was born 1963 in Amityville NY. 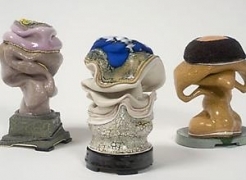 She received her BFA at Moore College of Art before earning an MFA at University of California, Davis where she studied and was a studio assistant to Robert Arneson. 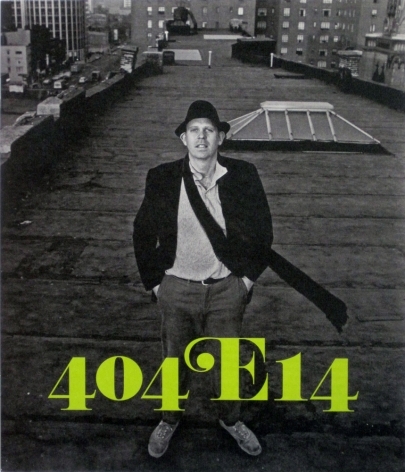 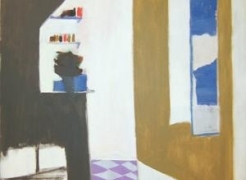 She lives and works in New York City alongside her husband, artist Tom Burckhardt. 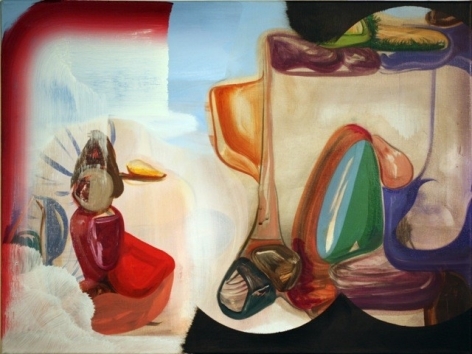 She has exhibited across the United States and many of her works are in the permanent collections the Museum of Modern Art, The Detroit Institute of Arts, the Carnegie Museum of Art and the de Young Museum of San Francisco. 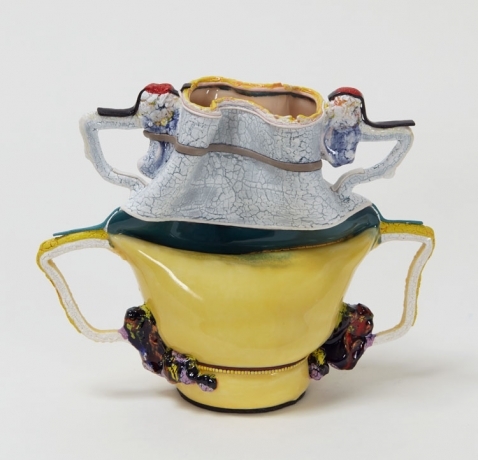 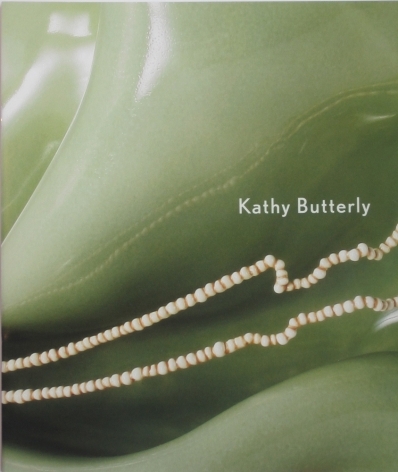 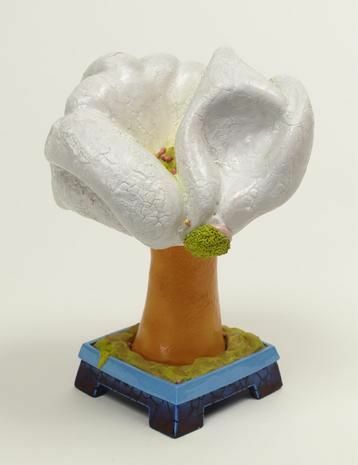 In addition Kathy Butterly has been the recipient of numerous awards and grants such as a Guggenheim Fellowship Award, a Pollock-Krasner Foundation Grant, a Smithsonian American Art Museum’s Contemporary Artist Award, a Joan Mitchell Foundation Grant and inclusion in a Carnegie International. 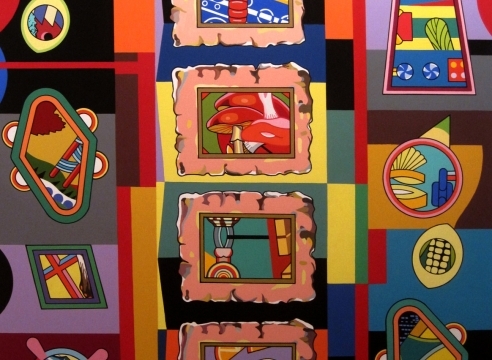 Brand new moblie friendly artist website featuring extensive image gallery and biographical information.